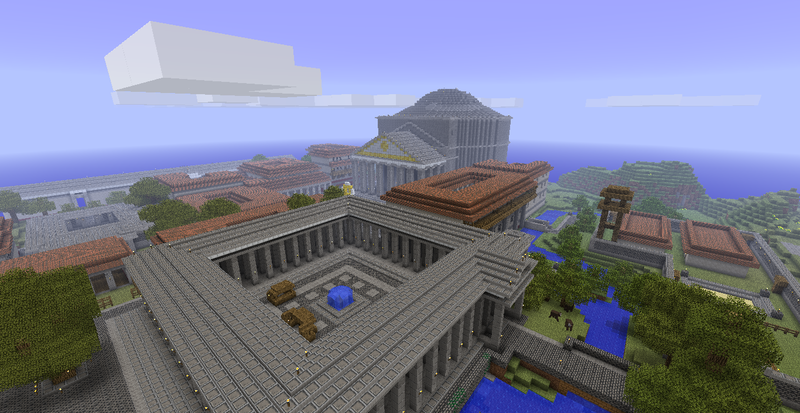 Since before Christmas sometime, me and my good friend H07HawK have been designing and building a city inspired by Ancient Rome (And Ironically.. we call it Rome.. but we will call it The City of Romecraft here). 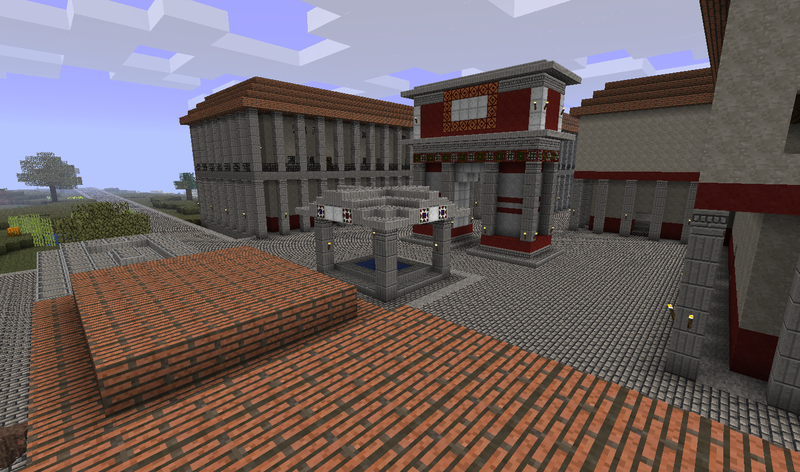 This city gave way to my texture pack, ROMECRAFT, which is almost entirely done, and really brings the city to life. 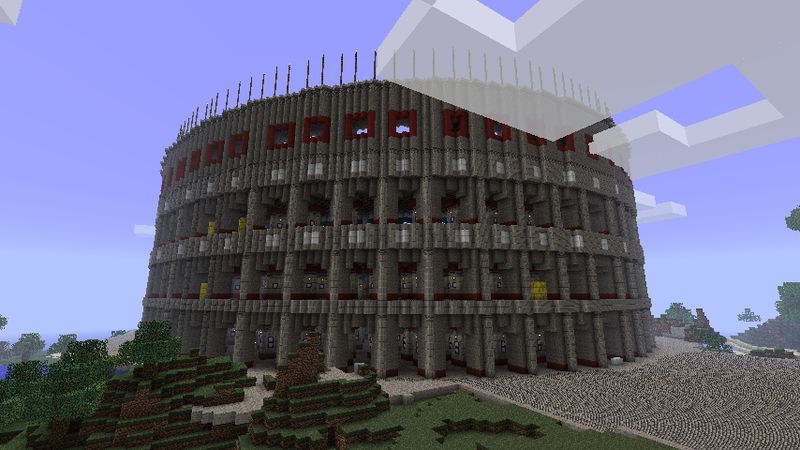 We are striving to build replicas of famous Roman structures, such as the Pantheon, the early Circus Maximus (which we dubbed the Circus Minimus due to it not being the full 900 meters) and other noteworthy structures. However, the city is not entirely made up of epic buildings, but an elaborate sewer system (Solely by H07Hawk) and functional streets with Roman Apartments (Insulae). 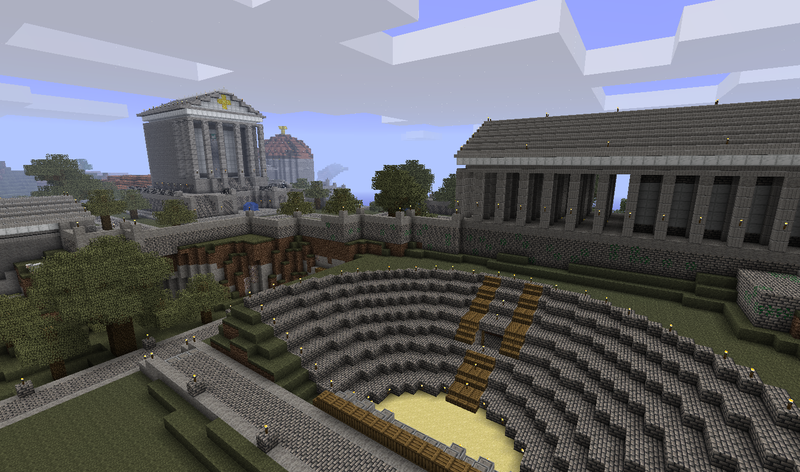 We did not use any outside programs to help us besides the Server spawn system when in multiplayer and invedit when in single-player. All the buildings were built "by hand". 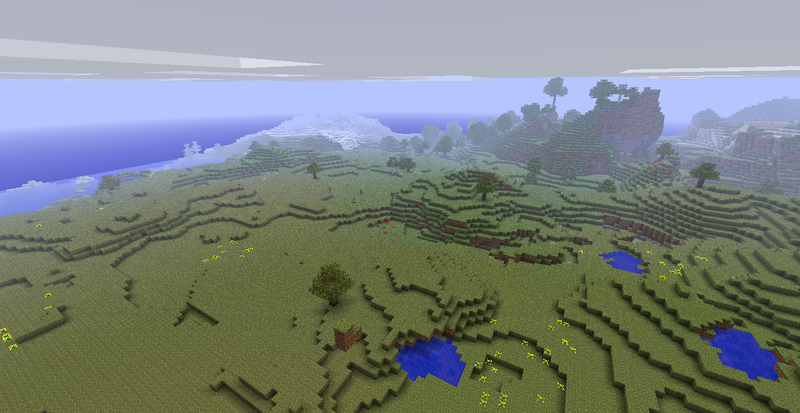 MCEdit was only used once to take out an obscene mountain range (which hasn't even been built on yet). 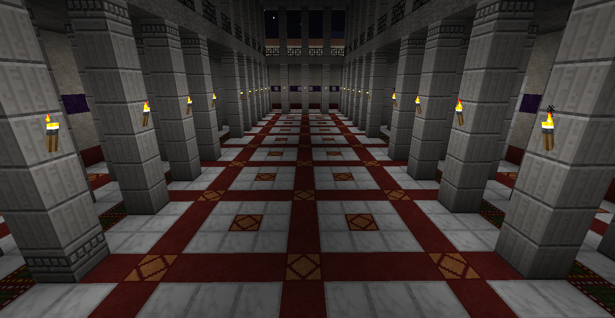 Someday, we hope to put this on a public server, but for now, it is entirely private. I assume this wasn't legit? Did you build it in a day? BURNING ELECTRIC GUITARS START RAINING DOWN FROM THE HEAVENS TO SMITE THE **** OUT OF THE LUCKY SURVIVORS OF THE FURIOUS SHARK SHOWER. As legit as putting down every block and removing/making every hill by hand, yes! 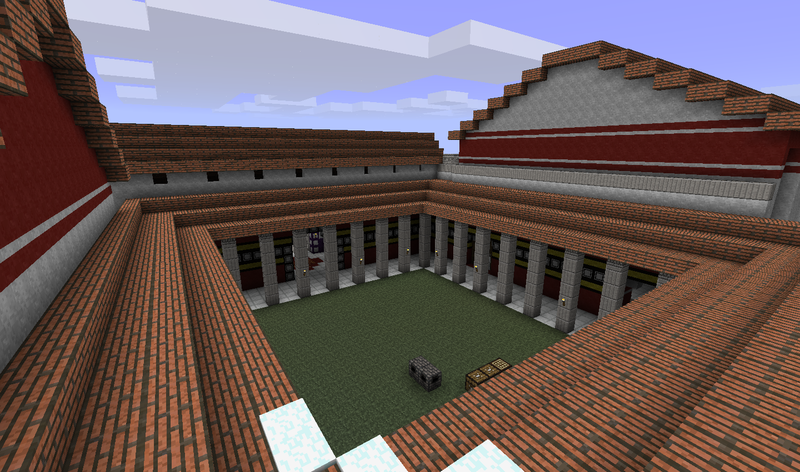 I made the pantheon using scaffolding techniques, no cuboid or editor. 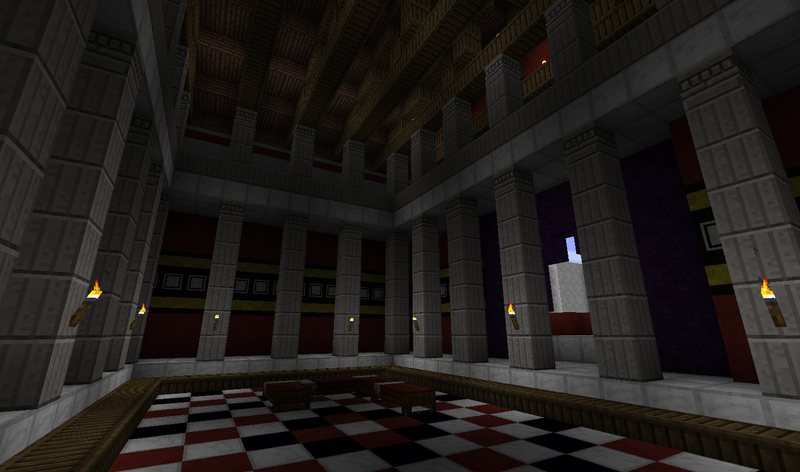 When it comes to resources, yes, we used the server OP system in multiplayer and invedit when in single player. I lol'd. And yea, nice city, thing. I could never do that. I study Latin and I've been to Rome, and that looks amazing, but try to make the streets all rectangular, that's the way they rolled in rome. We're expanding outward with that idea. Originally, we did not plan on building such a large city. Now that we are, a grid is being formed from the edges of the "old city," which will make an interesting effect! That Pantheon.... My jaw literally dropped. Edit: Also... It might require an editting process (imagine doing it by hand -_-') but the 7 Hills and the Imperial Palace would be awesome. 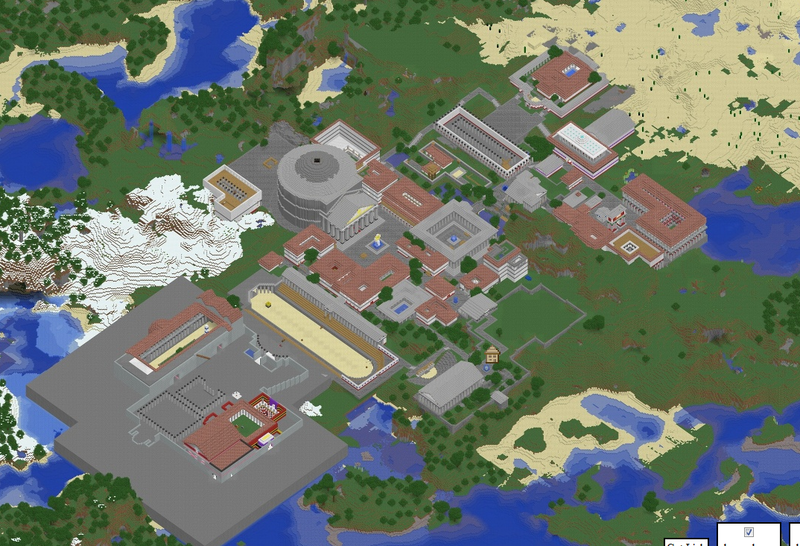 That huge brown square down in the lower left corner is where the Imperial Palace will be.. well, part of it. It'll probably be much bigger. As for the 7 hills.. well.. we gotta make do with what we have. At the lower left of the picture you can see the big dirt layout next to the Circus Minimus where the Imperial palace is going to be. The 7 hills on the other hand, we're trying to replicate a lot of the landmarks that were on the hills, but as far as following the actual layout of Rome we're not doing that at all. 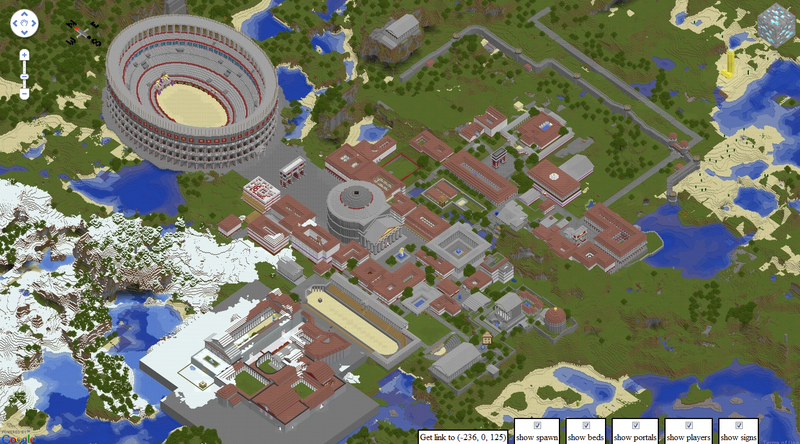 Essentially this is, like he said, The city of Romecraft, based off of Rome, not a replica of Rome. And this is why we work so well together. We respond to the same guy with the same ideas at the same time.. unintentionally. you should let some of us help... i love rome and id love to bring its glory! 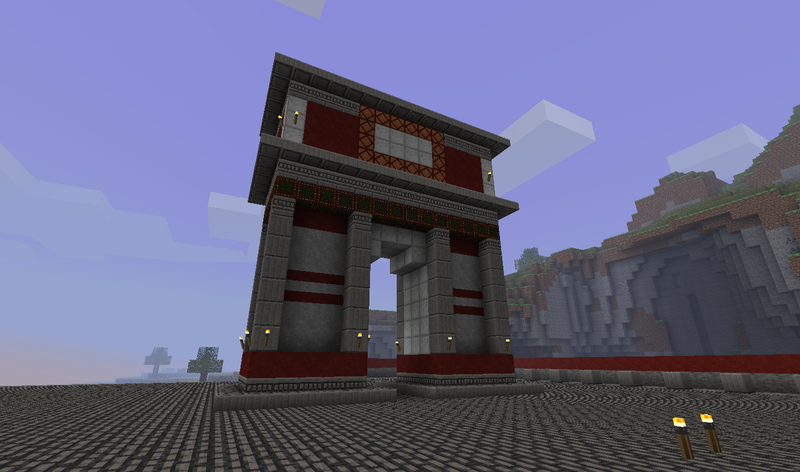 so any chance a few lucky people can be workers to help build Rome's might? Not at the moment, no. 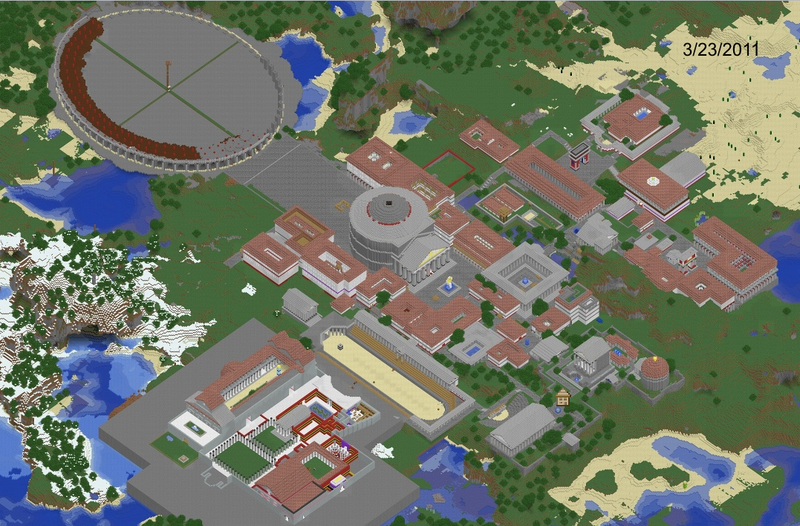 The possibility of griefing would be quite high, and it is impossible to keep track of anyone in the city. The biggest issue however is I do not have a stable enough server for more than 2-3 people. I run it off of a pretty beat computer. 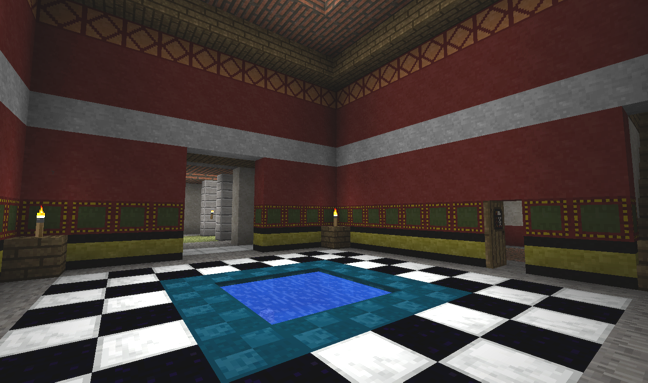 Well if it isn't my favorite texture pack! I actually hadn't watched the video until now, and wow. The Map doesn't do it justice. How long is the "Circus Minimus"?